The HyperLink HG5808U is a very compact yet high performance omnidirectional WiFi antenna designed for the 5.8GHz ISM and UNII band. It is ideally suited for multipoint and mobile applications where high gain and wide coverage is desired. The HG5808U construction features a fiberglass radome for durability and aesthetics. 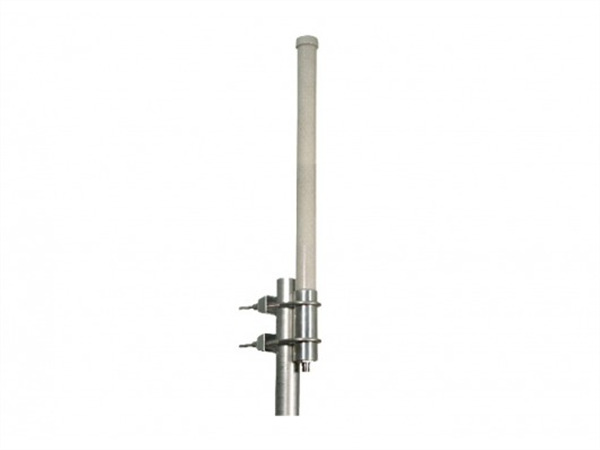 Included with the antenna, the mounting system features a heavy-duty steel bracket and U-Bolt for superior strength. 50.8 mm dia. mast max.